Do You Still Need Facial Treatment When You Have A Good Skincare Routine? The fact that you're reading Daily Vanity probably means you care about your appearance; we're guessing you already have a good skincare routine that you're following faithfully every day. But does this mean you won't need to go for facial treatments at all, because using good skincare products is enough to keep your skin looking healthy and radiant? 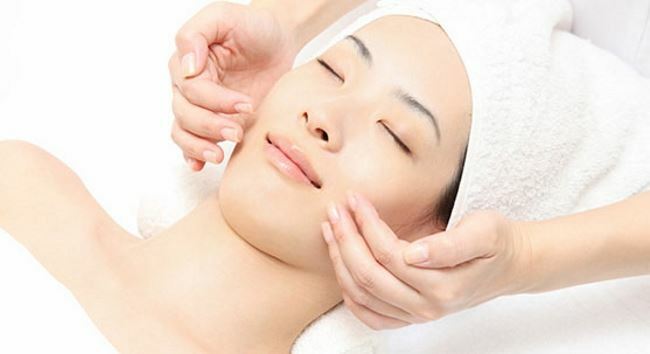 A good facial salon would offer a thorough consultation to understand your skin better. Your therapist will be able to tell your skin needs and type professionally, and this is important information if you want better skin. This is because your skin condition is transient; it changes with age, environment, climate, and hormonal fluctuations. Receiving a skin consultation doesn't just ensure that you'll be going through the most suitable treatment at the point of consultation, but also helps you improve on the choice of products used at home after you know exactly what your skin needs. You've learnt from a young age that you shouldn't pick at pimples or squeeze out blackheads. This rule doesn't apply if it's done by a professional. Extraction, when done properly and safely, can actually help get rid of pimples and blackheads very effectively. At the facial salon, the therapist has the right tools and skills to carry out extraction the proper way – something you won't be able to achieve at home, on your own. Spa-grade products are usually found exclusively in facial salons because it is meant to be administered only by a professional who knows exactly how to use them. These products can then deliver very effective results that you can't usually achieve from mass market products. Your therapist is also able to pick out a cocktail of products that are most suitable for your skin based on the consultation she had with you. You can be sure that your skin will only be treated to the best and most suitable products catered to your needs. A facial treatment is also “me-time” that you should set aside for yourself regularly. Professional therapists are able to provide good facial massages and offer you a relaxing time during the treatment. It isn't just beneficial for your skin, it is also able to soothe your fatigued mind. And trust us, feeling good is just as important as looking good. Your home is obviously not equipped with state-of-art machines that can help boost the effectiveness of your skincare products. This is what professional facial centres can offer. Take Bella Skin Care's latest non-invasive resurfacing treatment, AquaDew Pro, for instance. This facial treatment uses a state-of-the-art machine to gently exfoliate and remove impurities. At the same time, it delivers essential nutrients to hydrate your skin, and provide a nourishing antioxidant infusion to the skin to keep your complexion looking firm, moisturised, and supple. The machine also helps to better deliver nutrients like vitamin A, E, and White Tea so that free radicals and environmental damage to skin cells can be combated.